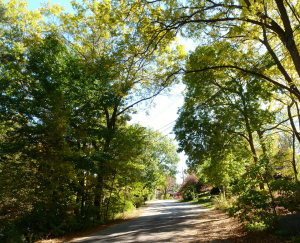 Listed below are homes for sale in Spring Harbor, a neighborhood located in Near West Madison, WI. Listings are updated multiple times a day from the SCWMLS. For more information about any of these Spring Harbor homes for sale, just click the "Request More Information" button when viewing the details of a property. We can provide you with disclosures, past sales history, dates and prices of homes recently sold nearby in Madison, and more. And, for your convenience, register for a free account to automatically receive email alerts whenever new Spring Harbor listings come on the market that match your search criteria. 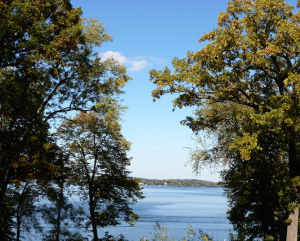 Access to Lake Mendota and natural areas abound in Spring Harbor on Madison’s west side. Enjoy sweeping views of the University of Wisconsin campus across Lake Mendota from Spring Harbor Beach Park, or retreat to the quiet serenity of Kettle Pond or Merrill Spring. Spring Harbor is known for variety — it boasts beautiful lakefront properties, starter homes, natural areas and vibrant commercial centers that truly make the neighborhood unique. Organizations like the Indian Hills Garden Club have worked to beautify the area through plant sales and community projects like building a rain garden in the shape of a turtle. Community members also organize guided walking tours of the historical sites located throughout the neighborhood and hold regular holiday parties and social gatherings. Spring Harbor is a vibrant and robust community that captures everything that makes Madison a unique city. Most of the housing stock in Spring Harbor was built in the 1950s. The neighborhood covers 400 acres along Lake Mendota’s southwestern shore, and more than 90 percent of that land is devoted to housing. 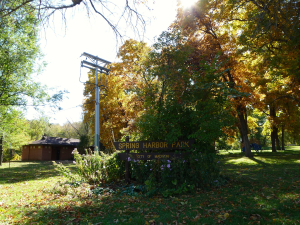 Spring Harbor is among Madison’s most populous neighborhoods with more than 1,200 households and a population of about 2,220 residing in the area. The University Avenue area also offers a selection of townhomes and condominiums. The vast majority of the area’s housing stock, however, is devoted to single-family homes. Harbor offers a variety of housing options with extravagant properties located along Lake Mendota and affordable homes for young families and first-time homebuyers south of University Avenue. Spring Harbor is also flush with parkland, even by Madison’s standards. Seven city parks lie within the neighborhood’s borders, and more are just a short walk away. With seven city parks and a vibrant commercial district, residents of Spring Harbor have plenty of options to stay busy close to home. Still, the area’s convenient location about six miles west of Downtown Madison makes access to employers like UW-Madison, Capitol Square and hospitals a breeze. Middleton is about three miles further west of Spring Harbor. Shopping is close by, too. Hilldale Mall and West Town Mall are both about three miles from Spring Harbor. 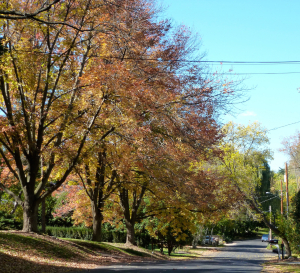 Spring Harbor’s convenient location and vibrant community make it an exceptionally unique west side neighborhood. For information about finding a home in the Spring Harbor neighborhood or to sell your Spring Harbor home, contact our team for a better real estate experience. Spring Harbor neighborhood is located on the West Side of Madison in MLS area Madison – W03. Below are more homes for sale in that area.